As tested to ASTM F2412/2413 by Precision Testing Laboratories on February 10, 2016. Right/Left Combined: 1.65 mega ohm. Where can I order your shoes to be delivered in the US? They look really nice. After 32 years of wearing steel toed shoes, I’ve yet to find a pair that don’t hurt my feet! Do your shoes come in extra wide for women? Under brand select Mellow Walk. These shoes are wonderful! Very comfortable, and cute to boot! Could so wear these with jeans. When I saw that there was only one width I was skeptical. I have a really wide foot. Almost all wide shoes are not wide enough…especially when looking for steel toes. These fit bueatifully! Wide in all the right places, and like I said, actually cute. They don’t look or feel big and bulky, and are very light. Well, thanks Christina. We always like receiving such great feedback about our safety shoes. Hi, I just want to say that I recently purchased a pair of Jamie 4085 shoes and they are fantastic! Slips-ons are so easy and the fact that the bottom is pliable has almost cured my plantar fasciitis. They are light weight and I feel like I’m working in a good ole pair of sneakers. THANK YOU!! If I could have the perfect shoe, I would have the arch a little higher to keep the plantar fascia well formed. Well, thank you. All these compliments are making us blush. And you have really hit all the key selling features. I couldn’t have said it better myself. Thanks for writing to us. These are the best shoes I have ever worn! Most comfortable, light weight, and stylish ladies steel toe shoes I’ve ever worn. I’m on my 3rd pair over the years of the Jamie steel toe and I love them. I find myself slipping them on every time I go uptown instead of wearing my running shoes. I wear them as every day shoes and work shoes and I love them. Thanks Brenda. I often hear that our shoes do double duty as everyday walking shoes. I guess that is the greatest compliment that can be awarded to a safety shoe. Thanks for writing. Just wonder this pair of shoes could be good for walking on the wet floor cause I need to walk a lot for work. Thanks. Jamie 4085 is indeed available in Montreal. Some of the safety footwear specialists that stock it include: L’Equiper, Expert au Travail, Belmont Securite and Collins. 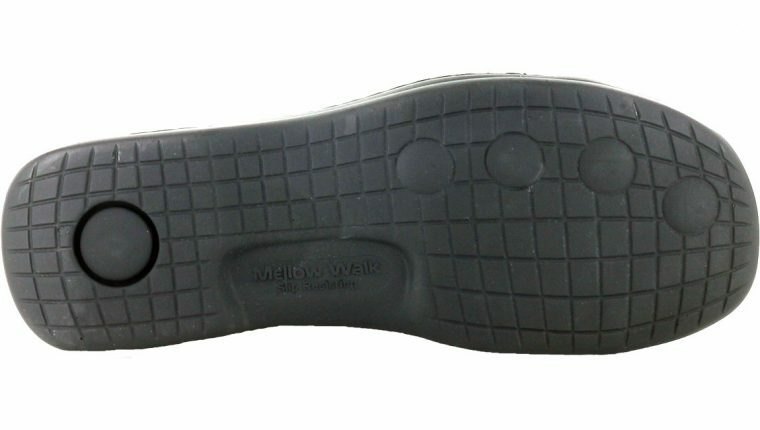 I am so glad that you love your new Mellow Walk safety shoes. Thank you for writing. Merci. Bought two pairs of these. Pretty sure they’re what keeps my plantar facitis from flaring up. I love them. The only problem is the glue that holds the sole on the front of the shoe could be a little stronger…after about a month my shoes started getting that “open duck’s mouth” look! Ha Ha! I’m glad you like the comfort of our Jamie safety shoes. If possible please email me a photo of the shoe with the glue loosened at the toe. Send to feedback@mellowwalk.com. I would like to bring this to the attention of our production team. Thanks for writing. I am very interested in buying a pair of the Jamie model shoe. Can you please tell me how they fit, if the are true to size or do they run big or small? 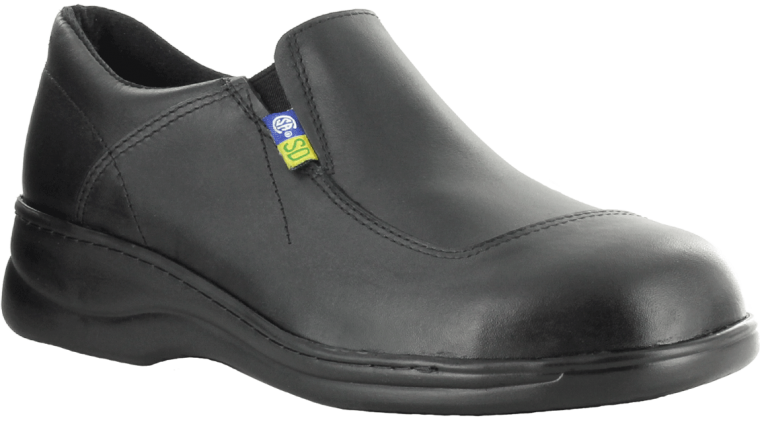 Jamie is a great safety shoe known for its light weight and comfort. My experience is that they are pretty true to fit. Thanks for your question. I hope you are enjoying your new pair of Jamie 4085. The circles on the bottom of the sole are mostly cosmetic although do assist in providing comfort to the shoe. Thanks. Thanks Carol. At most major Canadian safety retailers Jamie 4085 retails for $124.99. Maddy 492049 is $129.99. Thanks for your question. Hi, why was the Jamie styled like herringbone discontinued? That was quite stylish & a lot of ppl didn’t know it was safety shoes. The Jamie you have now looks “sort of ugly” in comparison. You may wish to consider either our Daisy or Maddy styles as an alternative. Both have a very similar fit to Jamie and (I believe) offer some attractive styles. I hope this helps. Thanks. Where can I buy your shoes in Canada?? I’m happy to hear you are loving your 4085s. Because they are so comfortable many people do in fact where them in and outside of work. 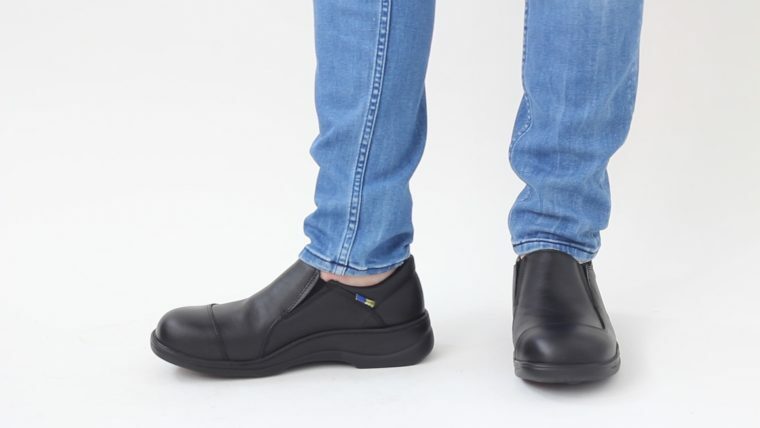 However, if the SD feature is a requirement for your work it is possible that your employer would prefer these shoes to be used in an indoor environment only. Thanks.